Hello my name is Gene Rowe Jr. and I am truly thankful to our heavenly Father for serving this great congregation in Texas City as its minister. It is my goal, aim, and objective to preach Jesus Christ, and him crucified, and in doing so make known the whole counsel of God. Support is necessary for being an effective minister, and I am thankful to God for my wonderful wife, Toni and two beautiful children, Stephen, and Sarah. Their understanding and encouragement is a definite blessing in my life. My belief is that in order for a congregation to be strong it must be effective in numerous areas, especially education, evangelism, and youth. I believe in participating in all areas of church work to demonstrate to the congregation its viability and necessity. Our plea is unity and our guide is the bible, and you are always welcome to attend any, and all of our services. May God continue to richly bless your life is my prayer! 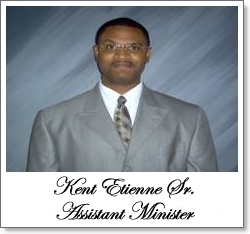 Hello, I am Kent Etienne Sr. a native resident of Texas City, TX. I now currently reside in Friendswood, TX. As a youth I attended LMISD and was a graduate of La Marque High School. I then attended San Jacinto College and graduated from Lamar University, Beaumont, TX. Family: Son of Juanita Etienne and the late Raymond Etienne, Kent is happily married to Miriam Lockett Etienne. To their union they have been blessed with three sons, Kent Jr., Justin, and Seth. Spiritual Goals: Kent's spiritual goals are to encourage every living soul to accept the inspiration of the Holy Bible, to respect and honor the Great God and Creator of heaven and earth, and to obey the gospel of our Lord Jesus Christ. Kent currently serves as the assistant minister here at the Church of Christ at Westward, where he aids in teaching and preaching the word of God. 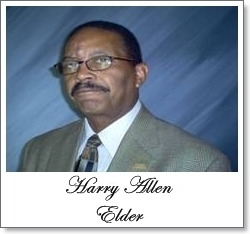 Hello, I am Harry Allen. I am a native of Winnfield, Louisiana, and moved to Texas at the age of five. I attended public schools in La Marque, TX and graduated from Lincoln High School in 1964. I enlisted in the United States Air Force later that year and went on to serve for four years; the last of those years which were served in Vietnam. Family: Harry is married to Hazel Jean (Parker) Allen and to their union they have two beautiful daughters, Carmen Elizabeth, of Houston and Christina Joy, of Texas City. Bro. Allen has been active in the Church of Christ at Westward congregation in a number of ways including: Adult Bible Class teacher, Benevolent Committee member, Exhortation Group leader, Vacation Bible School teacher, and a willing worker and ready servant. Hello, I am Edward Calvin Williams Sr. a native resident of Galveston, TX. I currently reside in Texas City. I attended GISD and was a graduate of Ball High School in Galveston, TX. I attended College of the Mainland, and graduated from of Galveston College/UTMB. 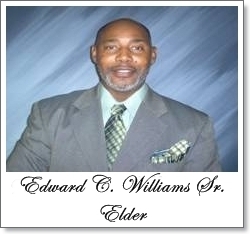 Family: Edward is the son of Renetter Williams and the late Aaron Williams. He has three brothers John, Arthur and Herbert Williams. Edward is happily married to Faye L. Brown Williams and to their union they have been blessed with a son and a daughter; Edward Calvin Williams Jr. and Sharonda Y. Williams. Spiritual Goals: To become a better Christian and encourage non Christians to become Christians while helping Christians to stay faithful to Christ. To have heaven as my home and also help others to better understand the will of God as it applies to them. Edward currently serves as one of the elders of the Church of Christ at Westward in Texas City, TX where he teaches the word of GOD and oversees the congregation. Hello, my name is Chester Bennett III, a native resident of La Marque, Texas. I currently reside in League City, TX. I attended LMISD and is a graduate of La Marque High School. Family: Chester has 6 siblings and is the son of Doris and Chester Bennett Jr. He is happily married to his wife Debra and together they have 3 children, Natasha, Andrea, and Chester IV. They are also the proud grandparents of 4 beautiful grandchildren. Spiritual Goals: To be helpful and watchful for the body of Christ at Westward that all members may reach their potential goals as Christians. 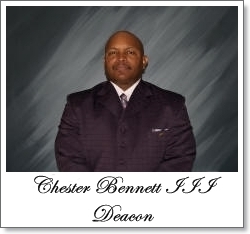 Chester currently serves as one of the deacons at the Church of Christ at Westward and helps with the finances, teaches, and song leader when needed. 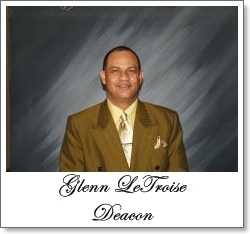 Hello, my name is Glenn LeTroise, a native resident of Galveston, Texas. I currently reside in La Marque, TX and is a graduate of La Marque High School. I studied business and communication classes at College of the Mainland in Texas City, TX. Family: He is the son of Amos LeTroise and Geraldine (LeTroise) Watkins. His step-father is Ben Watkins. Together he has 7 siblings. Glenn is happily married to his wife Billie M. LeTroise and to their union they were blessed with 2 daughters, Tammie and Tiffany. Spiritual Goals: Glenn's spiritual goals are to just "plainly serve" the body of Christ in his best capacity. Glenn currently serves as one of the deacons at Church of Christ at Westward helping with the young adults and adults when needed.